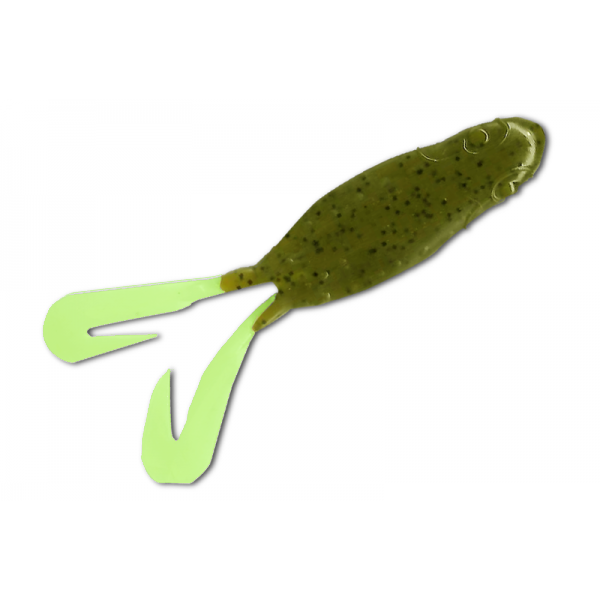 The Buzz Tail Frog is designed to attract the anchor fish bite. Incorporating our unique patented Buzz Tail legs, the bait rides on the surface emitting a loud buzzing action while utilizing a slow retrieve. Our super soft formula allows for a sure hook set and the realistic feel of a frog. The balanced weight design allows for long casts and a true track during the retrieve. Our field testing of this lure has not only found it to be effective for freshwater game fish but also effective for saltwater Trout, Redfish and Snook. (H40SG) Blk Shad Silv. Glit. (WSRGLD) Watermln Red & Gold Glit.